Igor Stravinsky was a Russian (and later, a naturalized French and American) composer, pianist and conductor. He is widely considered one of the most important and influential composers of the 20th century. Stravinsky was born on 17 June 1882 in Oranienbaum, a suburb of Saint Petersburg, the Russian imperial capital, and was brought up in Saint Petersburg. His parents were Fyodor Stravinsky, a bass singer at the Mariinsky Theatre in St. Petersburg, and Anna (née Kholodovsky). Despite his enthusiasm for music, his parents expected him to study law. Stravinsky enrolled at the University of Saint Petersburg in 1901, but he attended fewer than fifty class sessions during his four years of study. In the summer of 1902 Stravinsky stayed with the composer Nikolai Rimsky-Korsakov and his family in the German city of Heidelberg, where Rimsky-Korsakov, arguably the leading Russian composer at that time, suggested to Stravinsky that he should not enter the Saint Petersburg Conservatoire, but instead study composing by taking private lessons, in large part because of his age. In February 1909, two orchestral works, the Scherzo fantastique and Feu d’artifice (Fireworks) were performed at a concert in Saint Petersburg, where they were heard by Sergei Diaghilev, who was at that time involved in planning to present Russian opera and ballet in Paris. Diaghilev was sufficiently impressed byFireworks to commission Stravinsky to carry out some orchestrations and then to compose a full-length ballet score, The Firebird. Over the next four years, Stravinsky and his family lived in Russia during the summer months and spent each winter in Switzerland. 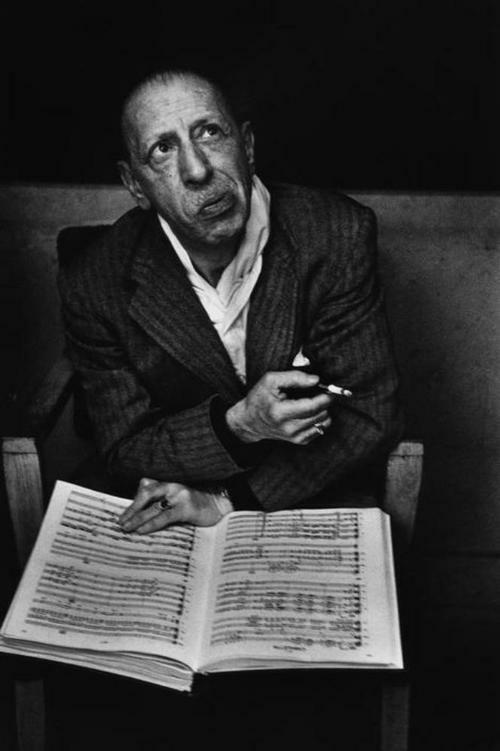 During this period, Stravinsky composed two further works for the Ballets Russes: Petrushka (1911), and Le Sacre du printemps (The Rite of Spring; 1913). In 1939 Stravinsky moved to USA where he addressed to jazz music traditions and wrote Black Concerto for Clarinet and Jazz-Orchestra. In 1971 he died.